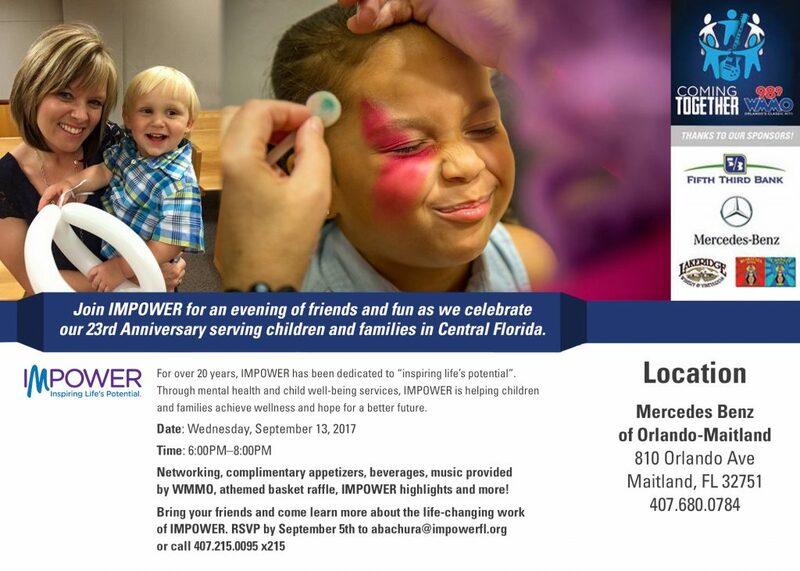 Join IMPOWER for an evening of friends and fun as we celebrate our 23rd Anniversary serving children and families in Central Florida! What: A fun evening of networking, fun, friends and IMPOWER highlights. Join us for complimentary beer and wine, small bites, music from WMMO, themed basket raffle and more! Cost: Free to attend. Donations appreciated.